One of our clients contacted us this week, very concerned. She′d received an email offering her a time-sensitive opportunity to have her author page enhanced on both Amazon.com and Goodreads.com — but only if she acted within a few days. HER BOOK WASN’T FOR SALE ON AMAZON! I double-checked though, it′s possible that her book had got onto Amazon via a third party — but nope, not there. So adding an enhanced author profile to her (non-existent) Amazon account wasn′t going to help her with sales! Neither was her book mentioned on Goodreads.com. Goodreads is a like a big book club and often readers will put a book up onto the site to discuss it, without the author′s input. So she didn′t need a Goodreads profile either. And the artificial deadline … old marketing trick, force people to make a decision now, rather than delay and probably not buy, the same offer will probably be available next week too if you ask (try it on your local whiteware appliance store the next time you need a new fridge or TV). Jenkins Group was the source of the email. They are USA based and appear to have been around for at least 10 years. They call themselves A Premier Publishing Services Firm. The email was well-written and had no obvious grammatical errors. In short it looks legit. Except for the points above. So I did a lot of Googling about them. Jenkins Group offer far more than Amazon profiles for people without books on Amazon. They offer a whole range of author services, just as we do. Plus, they run a whole series of Book Awards including; the Axiom Business Book Awards, eLit Book Awards and the Independent Publisher Book Awards. There′s a problem there — you have to pay to enter the awards. There is very good money to be made from Awards — however it′s Jenkins Group that makes the money, not the author — see Writer Beware on another of Jenkins Group awards. Marketing is not magic! If you want to market your book, it′s about finding the people who are interested in it, making a connection with them and telling them that your book exists and how to get it. Don′t get us wrong, having an Amazon and Goodreads profile can be very helpful in marketing — but only if your book is available there! Goodreads is usually used by authors who want to give away hardcopies of their book for review. The site is predominantly American, so clearly there is problem here for Kiwi authors, in that the postage will probably be more than the cost of the book. If you need help with marketing your book, or making your book available on sites like Amazon or Goodreads, get in touch with us — we can help! I don’t think they were trying to scam your client, but it does make you wonder how they found out about her book when it wasn’t even published yet! The problem with Jenkins is that the fee is way too high. 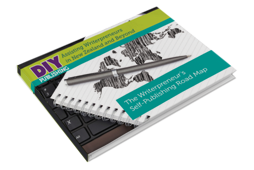 Save the money for a press release, sending out review copies, and other fees associated with getting out your next title. I paid to have Jenkins display my book at the Frankfurt Book Festival. I had ZERO bumps on my book sales or Social Media visits. Logged onto the Frankfurt Festival website and could NOT find the Jenkins Group listed as an exhibitor or find a listing for my book. Same result for the New York Book Festival.